Music is a therapy. Blessed with a certain gold in their voice enabling our senses, singers liberate our moods and help us express our feelings. With a spurt in talent across the globe, successful crooners have their niche in the music business, becoming a better part of our lives every day. Asia is not far left behind as singers have found their space in the genres of classical, R&B and pop. Using their potential of soft tones and caliber, with talent streaming across hemispheres, few top Asian singers have given us some evergreen hits. If music runs in your veins, then you should absolutely know about these top successful Asian singers of all time! She is called ‘The Nightingale of India’, with a track record of over thousand songs in Bollywood and thirty-six regional languages, setting a legacy. 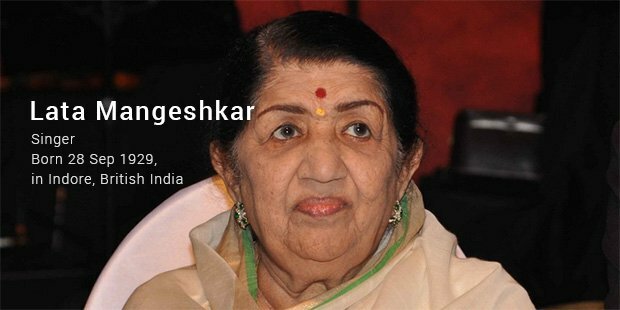 Lata Mangeshkar, the most celebrated singer of the Indian sub-continent was awarded the prestigious honor Bharat Ratna and had been listed in the Guinness book of world records as the most recorded artist ever in the world. Asian Pop diva Coco Lee based out of Hong Kong and currently residing in the U.S is one of the most famous pop singers under the Asian belt. She is one of the most loved pop singer and the former winner of the itle Miss Chinese-America. Despite residing and getting a breakthrough in the United States, this diva still rocks the Asian music chartbusters list. 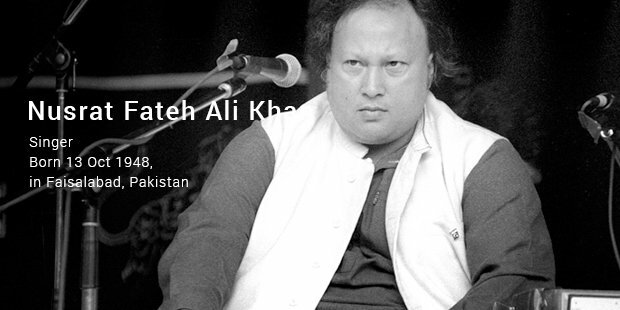 Late Nusrat Fateh Ali Khan was a renowned name in the Sufi genre of music and was also known as the ‘Shahenshah of Qawwali’. With a voice as sweet as honey and unique personage and renditions, Nusrat also won the hearts of millions. Tata Young is a sensational Asian star known for her vocal prowess and sensuous style. She had released 8 studio albums so far, launching her first ever album at the tender age of 16. Known for transcending boundaries, languages and genre, she became a prominent face at the age of 11 when she won the Nissan Award in Thailand singing contest. ‘Simply Siti’ is one of the richest and influential celebrities in the Malaysian territory. With her great voice and passion, she had produced the most number of solo tracks and singles. Her eminence and vocal expertise has fetched her recognition in different countries and languages, where she performed incredibly as a singer. She was also awarded the Voice of Asia in 2002. The world is well familiar with “Filipino” talent in the music genre. Apart from being a distinct personality in Asia, Salonga’s connections with the global media conglomerate Disney has fostered her growth in numerous ways. She sang two famous songs for Disney: Jasmine (Alladin) and Fa Mulan (Mulan). Beat of Angel (BOA) is the Kwon’s most famous song that earned her fame across Korea and even United States. Thanks to her multilingual feat, this Queen of Korean Pop had cast magic in the western world as well. Kwon was the first Korean who charmed the Japanese, and sold over a million copies of her albums worldwide. Svelte and slender, Ayumi Hamasaki is the Richest Female Singer of Asia. With a career spanning 15 years, she has produced innumerable tracks worth-listening to. More than 50 million copies and records sold in Japan alone, she flaunts a huge fan following across geographical boundaries. Known as the ‘Big Sister’ in the Hong Kong music scene, Joey Yung debuted with her album, Unknown. Within a span of 12 years, she bagged 7 advertisements and earns an estimated HK $3 million for every endorsement. Also known as Queen of Pop and Yung Rich Lady, Joey had earned more than one can possibly imagine. Chinese by birth, Agnes is currently the Diva of Indonesian music industry. She has a fan following across the globe and started her career at the age of 6. She has been a legend in the field ever since. Agnes holds a fleet of awards for her plethora of masterpieces that are recognized both locally and internationally. History has witnessed an array of Asian singers apart from the icons listed above. These people created magic and achieved milestones in an industry driven by super tough competition from other parts of the world.